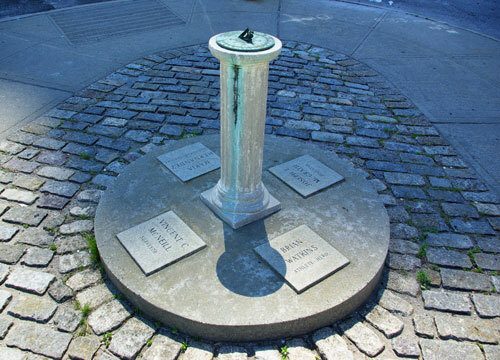 2:00 on May 6th is marked by a small sundial – which will remain a decent 2 pm landmark for the first week or so of May. Note the about 5-foot shift in shadow location in 4 days – see previous post at the same spot. One wonders who these people are and why they were chosen to be honored in such a manner.